"I refused to serve in the reserves for the past three years while we were in Gaza because I think that we should give the territories to the Palestinians. But then I realized that the Arabs keep killing us no matter what we do, so now I don't know what I think. My wife, who comes from Denmark, doesn't think I should be here. She wants us to move to Denmark. I decided to serve this year because now I think I am supposed to fight. "On the one hand, we should give them a state. On the other hand, they don't want a state because we already gave them one at Camp David and they went to war to kill us. On the one hand, maybe our being in the territories gets them mad, but on the other hand they keep killing us no matter what we do, so we have to keep fighting them because they will never leave us alone. So I am confused. I came here to fight because I think this is what I am supposed to do, but I don't know." Alon cannot really be blamed for his confusion. Over the past four years of the Palestinian terror war, we have been receiving mixed messages from all quarters. On the one hand, we have images like the children of Sderot being incinerated by rockets in front of their mothers' eyes. On the other hand, we are given explanations from a variety of sources that are aimed at explaining away these unforgivable crimes. First on the list of the obfuscators are the Palestinians, whose goal it is to confuse us. One of the chief aims of the terror war doctrine is to maintain a sense of confusion among the target nation. The point of the confusion is to bring about a situation where the targeted society is no longer able to make the causal link between the source of its pain – the terrorists and the regimes supporting them – and the pain itself. Once the link is broken, a target society will turn against itself and the terrorists will win. The Palestinians disorient us by playing a double game. They conduct a war against us while simultaneously projecting their aggression onto us by pretending that they wouldn't be killing our babies with rockets and mortars and bullets and bombs if we hadn't killed terrorists the day or week or month or year before. So our babies die, and if the Palestinians are successful as they generally are, we spend weeks and months blaming ourselves. After the Palestinians come the media. It is they, after all who are charged with telling us the story of our reality. Their success in doing their job can be measured, in light of the terror doctrine of disorienting a target society, by the degree to which our society is able to understand the nature of our enemies. Sadly, given statements like Alon's and the general resignation with which terror attacks are now greeted by Israeli society, it is clear that to the extent that Israelis are not confused about who the aggressor in this war is, they have been convinced that there is little they can do about it. This latter point is clear when we compare the reaction of Israelis to terror attacks in the early Oslo years to terror attacks today. In 1995, when the first bus bombing in Tel Aviv occurred, I was serving in the army. Immediately after we got word of the bombing, my soldiers and I walked to the Magen David Adom blood bank in the center of the city to donate blood. When we arrived, we found that thousands of other people had the same idea. We waited on line for over five hours. Today, no one would think of giving blood after an attack. No one thinks of doing anything. After the early attacks, thousands of Israelis – religious and secular alike – would protest. Today no one does. 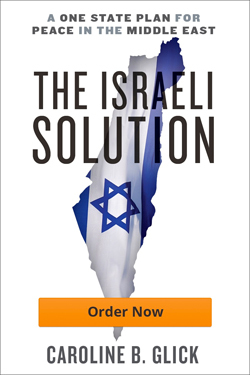 In a recent article in The New Republic, Israeli authors Michael Oren and Yossi Klein Halevi argue that without anyone having noticed, Israel has won the war against Palestinian terrorism. Entitled "Israel's unexpected victory over terrorism," the article claims that since Israelis have not stopped going out to dinner or riding the bus, the terrorists have lost. In their words, "Terror that no longer paralyzes is no longer terror." Perhaps. But then terror never paralyzed Israelis. The main reason that shops were empty in the first years of the war is because the tourists were staying away. The truth is that the heroism of Israelis – from our soldiers in the field to Egged bus drivers who have personally thrown bombers from their buses, to waiters who have wrestled bombers to the ground and border policemen who have sacrificed their lives to keep suicide bombers away from civilians at a bus stop – is unmatched by that of any nation in the world. The problem isn't our resilience; it is our lack of outrage. We have gotten used to being killed. If this were not the case, then how could we explain the lack of public outcry after Palestinian Authority Prime Minister Ahmed Qurei's statements last week on Israel Radio. During the interview, Qurei admitted that the Aksa Martyrs Brigades, the most active terror organization in the Palestinian terror war, is an integral part of Fatah, the ruling party of the PA. Qurei said, "The Aksa Brigades are part of Fatah, and we are ready to absorb them and deal with them, but for this to happen, I must ask that Israel guarantee their security." The meaning of Qurei's call for Israel to grant immunity to these PA killers was made clear on Sunday in the aftermath of the IDF's targeted killing of Aksa Brigades commander Jihad Hassan. Reacting to Hassan's death, PA General Intelligence Commander for Judea and Samaria Tawfik Tirawi issued an obituary notice. The obituary stated, "The command of the Palestinian General Intelligence Force and all its officers and soldiers mourn the death of martyr and hero Lieutenant Jihad Hassan, who was martyred on the soil of Salfit on September 26, 2004, while carrying out his duties." Yet in spite of this, the public has not called for the destruction of the PA.
Oren and Klein Halevi equate Arafat's sidelining with Israel's isolation. In their words, "Arafat may be a pariah, but Israel is becoming one too." The problem, however, is that Arafat is not Israel's central problem, and his sidelining does not equal an Israeli victory; it certainly is not a reasonable trade-off for Israel's international isolation. As Qurei's admission makes clear, the PA itself, not just its leader, is a terrorist entity. The militias that the Americans so wish to see placed under the command of someone other than Arafat are terrorist organizations and their commanders are actively involved in terrorism and terror training. Getting rid of Arafat solves none of this. And of course, the PA and its terror cells from Fatah and its terror militias are not the only folks out there. There is also Hamas and Hizbullah and Syria and Iran and Islamic Jihad. And the actions of these groups and countries, together with the international reach of the PLO, show that far from being a local war, the Palestinian terror war is simply one front in the global Islamic war against the West. against Russia and the fight against America. In their article, Oren and Klein Halevi lionize Ariel Sharon as the architect of the victory. The two paint a glowing portrait of Sharon, claiming he "imposed on himself a regimen of single-mindedness and patience." They claim that while he refused to go to war after the June 2001 Dolphinarium discotheque bombing, in which 22 Israeli teenagers were murdered, he was "gradually escalating" and "acted like the leader of a nation at war, not a party at war." Yet, the truth is that Sharon has not exhibited any courage in his leadership. Oren and Klein Halevi applaud Sharon for becoming the first Likud leader to endorse a Palestinian state, for in so doing "Sharon broke with his own party's ideology and recast himself as a consensus politician." But what does that mean? Acceptance on the Left for what Sharon has done does not constitute consensus. And the price of Sharon's acceptance by the Left, where there is less clarity about the need to fight and be heroic, has been that our wartime leader has never articulated Israel's case in this war in a memorable way to his own countrymen. As a result, a reservist like Alon has no direction other than his survival instinct and native patriotism to guide him through the moral dilemmas and national crises with which Israel's longest and most confusing war has presented him – and us.